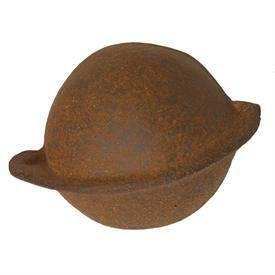 Clay Planet's Cinnamon is an iron bearing throwing clay with excellent plasticity and thermal shock characteristics making it especially suitable for functional ware. It has light grog and a fine sand to provide strength with a reasonably smooth finish. In oxidation, it is a warm orange buff hue. This darkens in reduction to an orange-chocolate brown maintaining its warmth. Great for red clay raku as well! Like most high iron clay, moderate to heavy reduction is not recommended when firing cinnamon clay. Cinnamon clay works best in a neutral or oxidation firing. For a deeper brick red-chocolate brown body color fire in light to moderate reduction then in oxidation the last 15 minutes to maximize the warmth of the clay itself, and to avoid weakening the body from over-reducing (black coring). Testing and experimentation are always recommended with iron red clays in gas fired kilns.